When you want to bring peace to others - Alison Cook, Ph.D.
We want to bring peace to others. Unfortunately, our loved ones’ struggles often trigger our own troubling emotions, making it difficult to be of real help. When someone shares a need or frustration, the following four types of responses are common but not always most helpful. Do you recognize your own go-to method here? we can do more. As our Spirit-led self leads, we can become “Sabbath for one another” in the words of author, Wayne Muller. To become a friend whose presence invites rest and reflection, practice taking a You-Turn, and notice what happens inside of you when someone comes to you in need. Ask the person how she feels about the fact that she is angry or hurting. In doing so, you might help her gain some distance from the emotion. 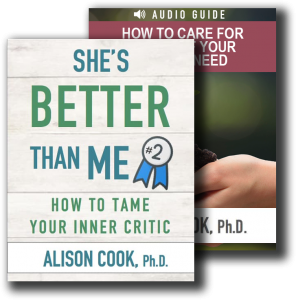 You also might help her identify an inner critic. Encouraging her to get to know her reactions and emotions will help her gain compassion toward herself. Remind him that the person who has hurt him probably is behaving from just one part of him or herself too. He doesn’t have to like that part, but the understanding will help him realize there’s more to this offending person than the part that hurt him. Offer to pray for the part of her that’s suffering. Instead of praying that her sadness or anger will go away, ask God to be with her in the experience of that emotion and to help her gain wisdom as a result of it. “Blessed are the peacemakers,” Jesus said in the Sermon on the Mount (Matt. 5:9). As you live increasingly from your Spirit-led self, you’ll become an instrument of peace and help your friends become peacemakers too.